Travelling wave processes and wave motion are of great importance in many areas of mechanics, and nonlinearity also plays a decisive role there. The basic mathematical models in this area involve nonlinear partial differential equations, and predictability of behaviour of wave phenomena is of great importance. Beside fluid dynamics and gas dynamics, which have long been the traditional nonlinear scienes, solid mechanics is now taking an ever increasing account of nonlinear effects. Apart from plasticity and fracture mechanics, nonlinear elastic waves have been shown to be of great importance in many areas, such as the study of impact, nondestructive testing and seismology. 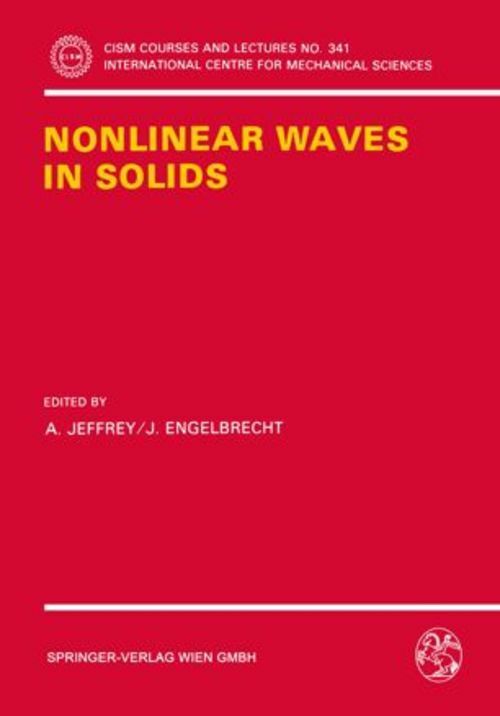 These lectures offer a thorough account of the fundamental theory of nonlinear deformation waves, and in the process offer an up to date account of the current state of research in the theory and practice of nonlinear waves in solids.